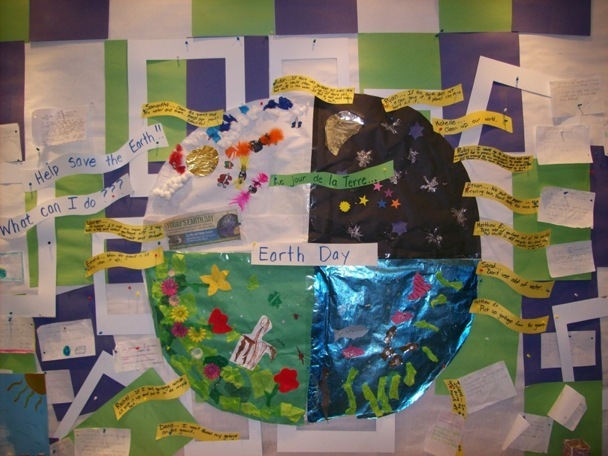 These Earth Day Lesson Plans will help you instill awareness of our environment and an appreciation for it. Of course you can celebrate our earth any time by using the children's curiosity and exploration of our world as a spring board for great valuable teaching moments. 1. Awareness and appreciation for the environment. 2. Our actions affect the environment. 3. We can make a difference. 4. One world - We are all in this together. 1. Our world is made out of different parts. What are they? 2. How can our action make the world a better place? 3. What are some things we can do to make a difference? "The Lorax" is a famous book by Dr. Suess on how humans destroy nature for their own greed and needs. 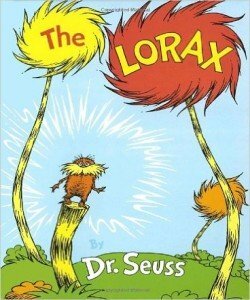 It tells the story of how the Lorax tries to defend trees against the Once-ler, who is felling them for profit. You will hear by good friend Debbie's voice in this video explaining the children in an easy and creative way the importance of taking care of our world. Put some milk in an aluminum pan. Add food coloring and dish soap. Working together in teams to build a sense of community the children used various art materials to represent the earth's rain forest, desert, sea and north pole. Discuss the 4Rs - Reduce, Reuse, Recycle and Recovery. Reduce - Bring in waste free lunchs for the day or even for a week. The longer the better. Reuse - Use materials such as toliet paper rolls and back of printed paper for art activities. Recycle - Go over the items that can be recycled depending on your district. View recycling as the third option.... always aim to first reduce or reuse. Recover - Always aim to recover material in order to reuse it or recycle it. Find a green spot you visit often (maybe a playground near by or even the school's back yard) and collect the pieces of paper and garbage from the floor.